MOSCOW (Sputnik) - Caracas is interested in the modernization of ground-based and air systems previously delivered by Russia, Venezuelan Defense Minister Vladimir Padrino Lopez said Thursday. "In the course of the talks between our presidents [Russian President Vladimir Putin and Venezuelan President Nicolas Maduro], which took place yesterday, many issues related to the military area were raised. Particularly, those on strengthening cooperation in maintenance of the equipment supplied to our country from Russia. These are land-based and air systems. We agreed on the need of upgrading these systems," Padrino Lopez said during his talks with Russian Defense Minister Sergei Shoigu in Moscow. Padrino Lopez noted that he arrived in Moscow as a member of the delegation led by Maduro, and his meeting with Shoigu was not initially planned, however, some issues for negotiations were raised during the presidents' meeting. Maduro and Putin on Wednesday discussed the Venezuelan-Russian relations during Maduro's working visit to Moscow. 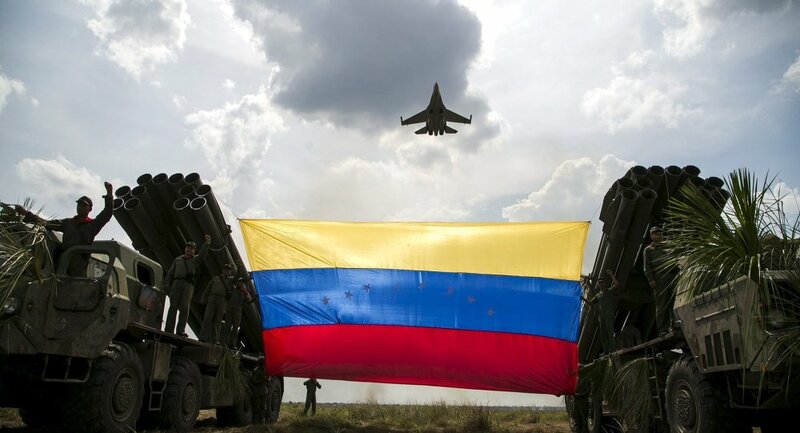 Venezuela has bought a wide range of weapons systems from Russia in recent years, including S-300 missile systems, Mi helicopters, Tor-M1 missile systems, Su aircraft, Buk missile systems, Igla man-portable air-defense systems and heavy multiple rocket launchers Smerch and Grad.